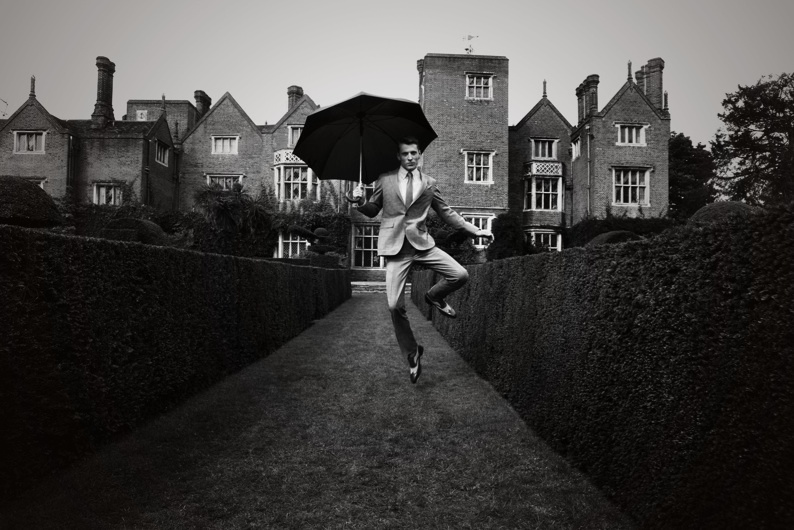 An all-British team for Hardy Amies spring-summer 2011 ad campaign is a safe bet for a genuine posh set of images. 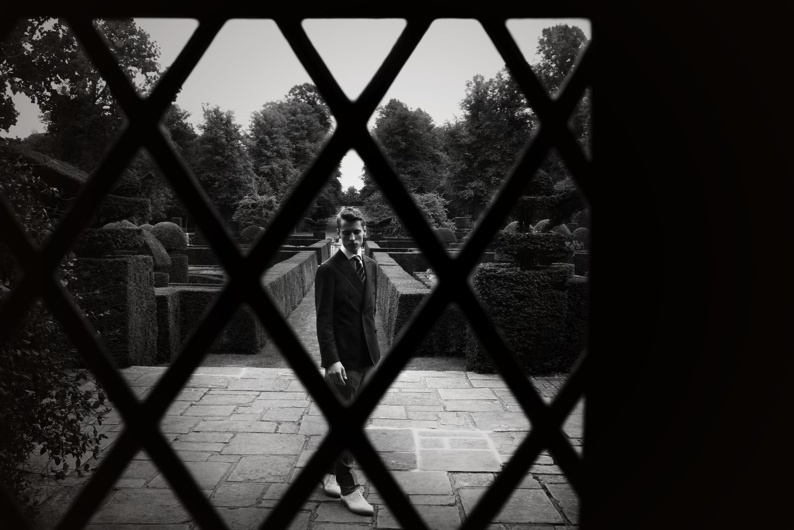 A playful wink mixed in the black/white retro outdoor imagery and timeless elegance are the key words for the commercial images of this classic Savile Row fashion label. 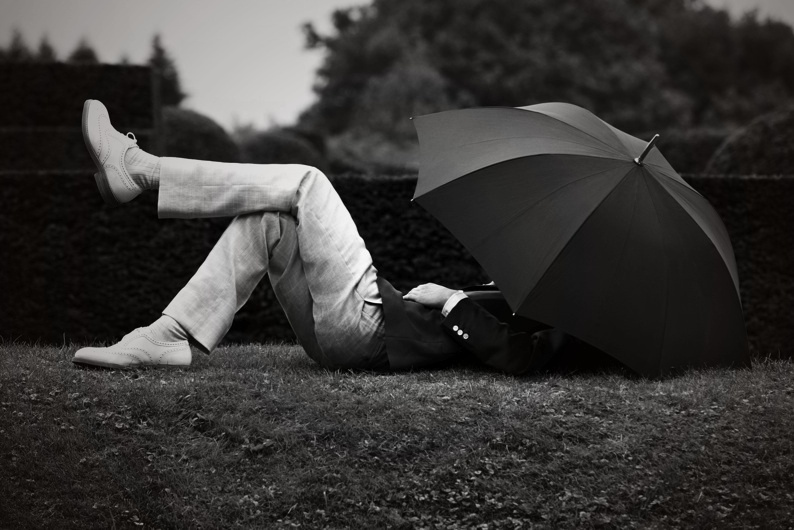 The tag line says that “to achieve the nonchalance which is absolutely necessary for a man, one article atleast must not match” – one of late Hardy Amies’ masculine style rule. 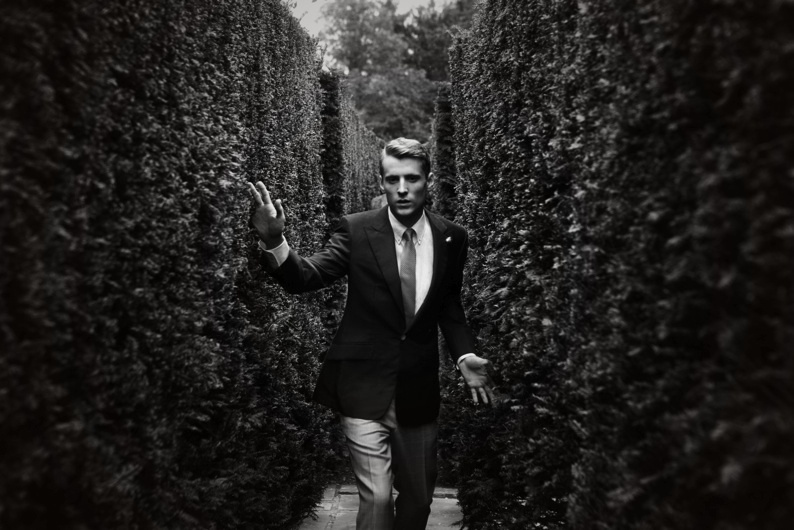 Former personal dressmaker of HRH Queen Elizabeth, Sir Hardy Amies (1909-2003), who formed his namesake fashion label in 1945, remains in history as the author of The ABC of Men’s Fashion (1964), the “definitive alphabetical guide for men’s style and etiquette”, republished many times over the years but also as the acclaimed costume designer of Stanley Kubrick’s 2001: A Space Odyssey (1968). 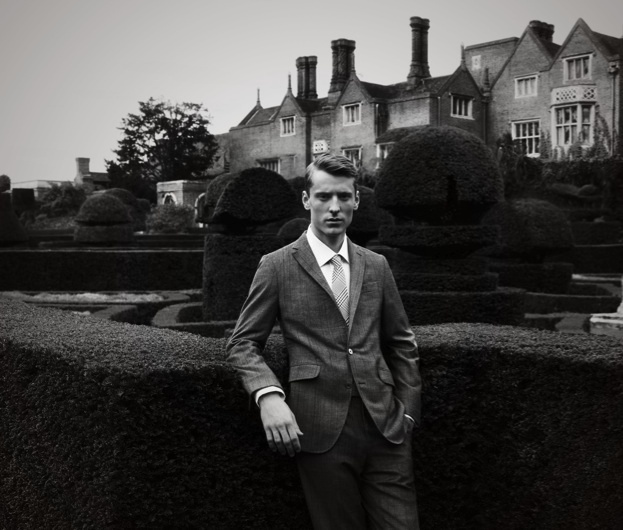 Starring in the spring/summer 2011 advertising campaign is the British model George Barnett also a musician in the indie rock band, These New Puritans. 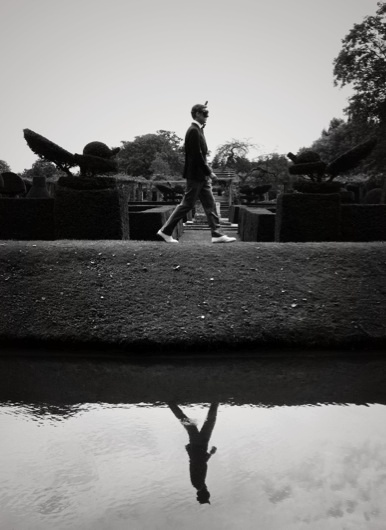 He’s quite the dandy wandering around in a garden maze dressed in refined tailored suits and separates. 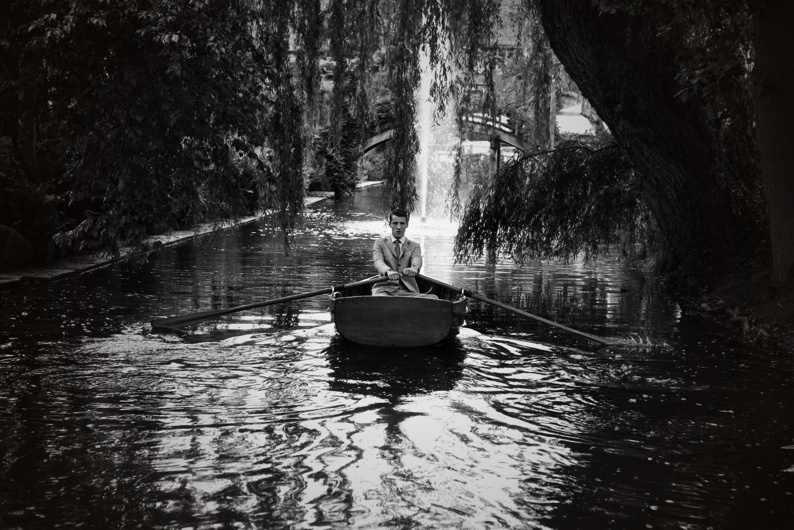 Photographer Roger Rich, also a Londoner, is at his second collaboration with Hardy Amies fashion house. Up till now he has signed impressive projects such as ad campaigns for Nicole Farhi (Men S/S 2011 and Jaeger Men (S/S 2011) as well as fashion editorials in GQ UK, L’Officiel Hommes Germany, Wonderland Magazine or celebrities portraits for Zoo Magazine.